Sweet!! If you have a little girl, this is a deal you may want to snag!! 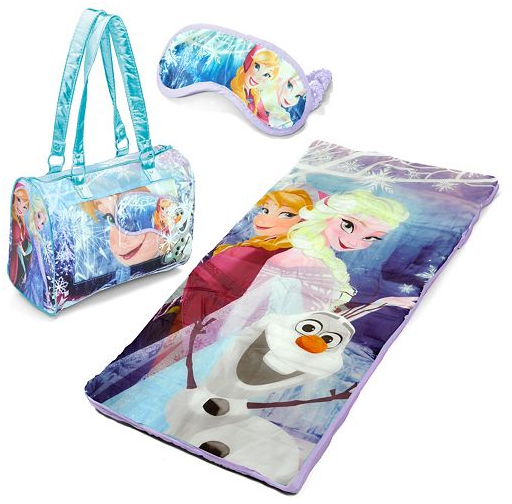 The Disney Frozen Anna, Elsa & Olaf 3-pc. Sleepover Set is on sale for $29.99 (Reg. $49.99). Then there are two promo codes that you can stack, making it just $16.99!! First enter TAKE10VET to take $10 off a $25 purchase and then enter LEAVESFALL for ANOTHER 15% off. Shipping will add $5.99 or is FREE on orders $50 or more! That will make your total just $16.99 + shipping! Head over to Kohls.com now!